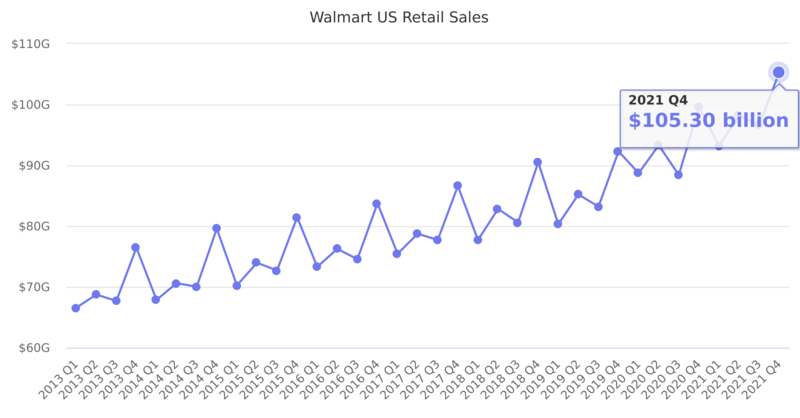 Sales in Walmart brick-and-mortar stores and e-commerce in the US. Last reported quarter 2018 Q3 it was $80.60 billion, up by 4% year-over-year from $77.72 billion. From $307.83 billion in 2016 it increased by 3% to $318.50 billion in 2017.